To better serve the communities of Northwest Ohio and Southeast Michigan and to provide quality educational resources and hands-on interactive science programs, we have identified additional resources to fund your mission or program! 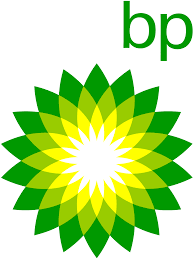 The BP Challenge Grant is offered through a partnership with BP. The BP Challenge Grant allows for grant recipients to receive a grant to assist with the cost of the mission or program, further instructions and details can be found on the application. We strongly recommend that you schedule your mission or program early as spaces fill up quick. The BP Challenge Grant Application is available and can be accessed via the document download link on this page. The 2018-2019 BP Challenge Grant application window has closed. Grant applications for the 2019-2020 school year will be available Fall of 2019. We also recommend that you explore the following grant opportunities for your classroom. Prior to applying for any grant, we recommend to discuss the opportunity with your district finance office.